To make it easier for you to visualize the status of your services, we have created example Heartbeat dashboards. You loaded the dashboards earlier when you ran the setup command. 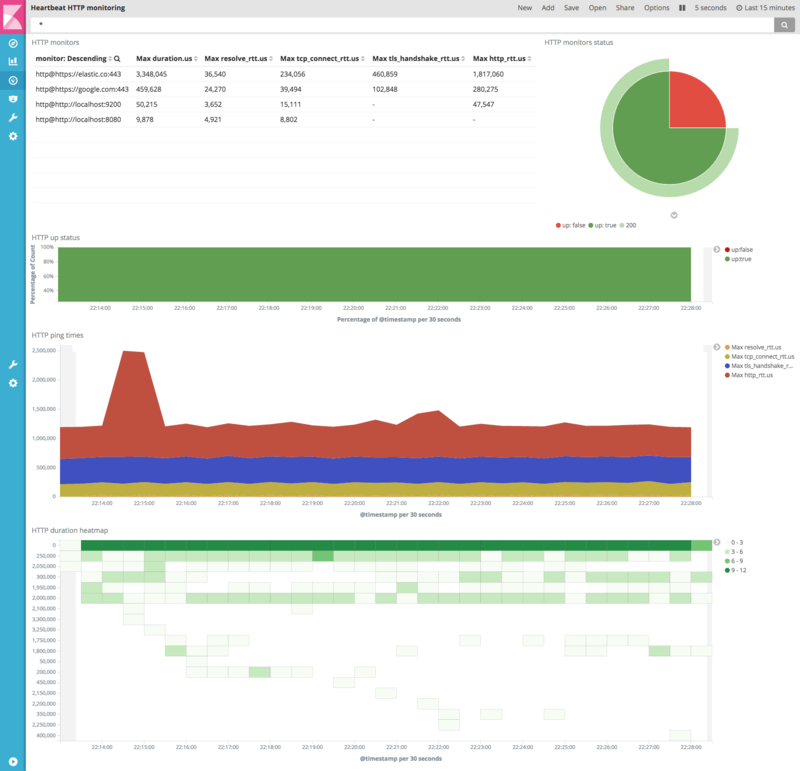 To open the dashboards, launch the Kibana web interface by pointing your browser to port 5601. For example, http://127.0.0.1:5601. On the Discover page, make sure that the predefined heartbeat-* index pattern is selected to see Heartbeat data.